Use promo code V4L20 to save $20! Visit the Hoover Dam, Chloride Ghost Town, Oatman Ghost Town, and El Dorado Canyon! Click Here to book your tour! Use promo code V4L20 to save $20! 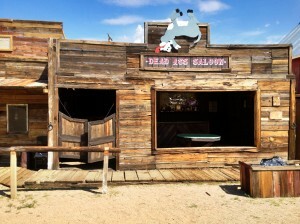 The Ghost Town Wild West Adventure tour departs Las Vegas for a short drive to the Hoover Dam. This 726’ dam holds back the mighty Colorado River. Behind the Hoover Dam, you find Lake Mead. A beautiful man-made reservoir that is contained within the Black Canyon Walls. Take all the Dam photos you want! Next, we head to the mining town of Chloride Arizona. This little community has survived the harsh desert environment since the 1860s. Silver and other minerals were mined here for decades. After the mining boom was over, Chloride nearly became a ghost town itself. Today Chloride is home to about 250 residents who are still very proud of their mining history. Browse the antique shops and chat with the locals before you enjoy your lunch. Admire many artistic sculptures of this joyful artist community. 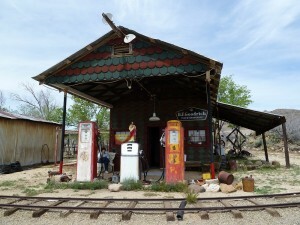 Our next stop takes us for a drive along the iconic Route 66 highway to the small ghost town of Oatman Arizona. The present-day population of this ghost town is 150 people, and 1 poltergeist. He goes by the name of “Oatie the Ghost” and is believed to be the poor spirit of William Ray Flour, an Irish miner who died behind the Oatman hotel. Enjoy views of the Black Mountains that surround this one-time mining tent camp, photograph the tumbleweeds and the wild burros (donkeys) that freely roam through this town. Have your picture taken alongside modern-day cowboys and bandits while posing in front of an authentic Route 66 sign and take part in your very own western shoot out! Time for a drink in the local saloon before we make our way through the Mojave Desert along the Veterans Memorial Highway to our final Ghost Town – El Dorado Canyon. This 18th Century mining town is the backdrop for many movies and photo shoots. The road back to Las Vegas cuts through a beautifully empty desert landscape. It is the perfect way to remember the openness of this part of America before returning to the big city lights and the glitz & glamour of Sin City. Delicious packed lunch, beef, turkey or vegetarian. Transportation in modern and spacious SUV or Mini Bus. Free hotel pick-up and drop-off from all major strip hotels. This is a small group tour. Max group size is 14. Tour departs Las Vegas at 8:00 am and arrives back in Las Vegas at approximately 6:00 pm.